Today's the day we're finding out if baby #3 is a boy baby or a girl baby. We're leaving the girls home with Grandma so I thought it would be fun to surprise them with the news somehow. But thinking up an easy-to-execute idea was a little harder than I thought. There are a ton of ideas online—you can bake cupcakes and put pink or blue filling inside or put a slip of paper in a balloon and pop it but neither of those ideas seemed like they would work for us. I don't feel like making cupcakes and we only have pink balloons. We could run to the store after the appointment but Andrew has a three-hour midterm to take so I don't think we'll have time for that. I went to bed last night unsure of what to do. But then, just as I was rolling out of bed this morning, inspiration struck. 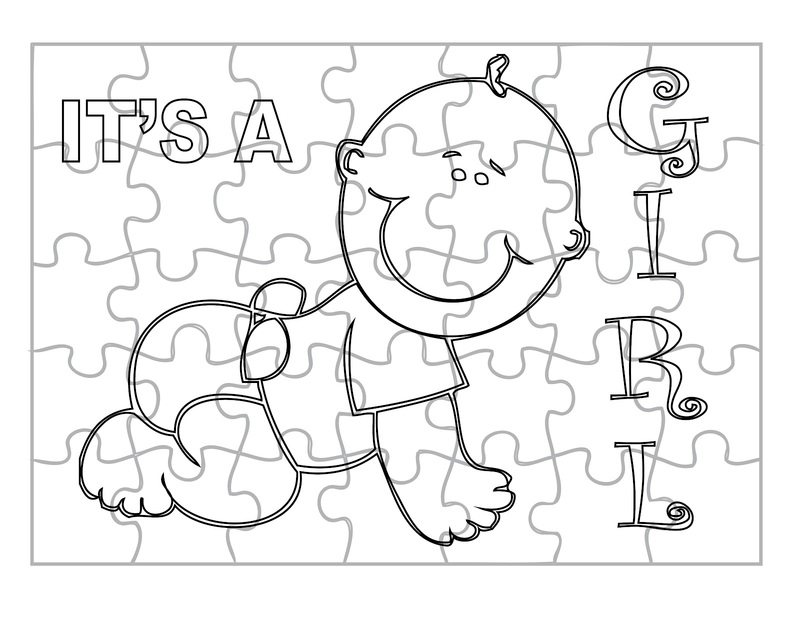 I could have the girls put together a puzzle. My girls love puzzles. I thought it would be an easy idea because surely someone would have thought about it and made something and put it up online, right? I mean, everything is online these days. I looked but found nothing to suit my fancy so I quickly whipped up my own. I just printed them off on cardstock, coloured them in, cut them out, and shoved the pieces into envelopes. We'll hand the girls the appropriate envelope when we get home and let them put it together. The more I think about it, the more I think finding out the gender early is good. I was so disappointed when my baby brother was born (darn it all if he just wasn't supposed to be a girl—that's what I was praying for!) and it took me a while to get used to the idea that the sister I'd been dreaming about ended up being a brother. We'll have twenty weeks to sway our girls' expectations because I know Rachel will be a little disappointed if it's a girl and Miriam will be a little disappointed if it's a boy. But by the time this baby comes we'll all just be expecting it to be what it is and no one will be disappointed about the gender...unless the ultrasound proves to be incorrect (which does happen occasionally). 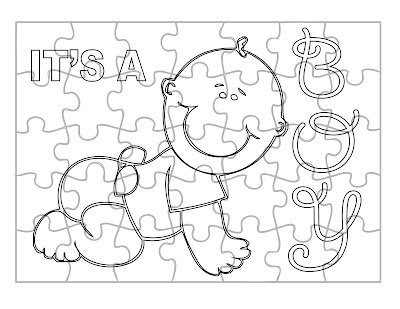 Anyway, feel free to use these if you want to—I took the puzzle template and baby picture from online (both touted as public domain/free to use) and threw them into Illustrator/InDesign to get the outlines/transparency/text. It was a fairly quick project (apart from the cutting). Stay tuned for the big reveal later today! I'll definitely stay tuned!!! I'm excited for you guys! 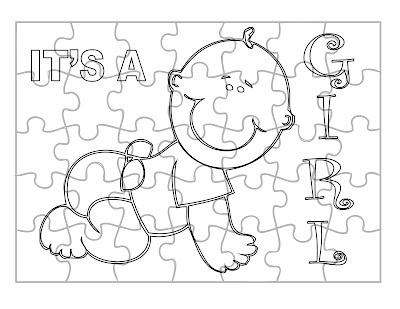 I wish I could just whip up a puzzle so quickly like that! And I think of my friend's niece, who had that nice pink bedroom all ready since she KNEW it was a girl thanks to the ultrasound--she was so shocked to be handed a son that it took her a couple of hours to be okay with the idea. Not the best welcome for baby. I was always just glad to have a girl OR a boy--when I was pregnant with David, a Marcus Welby MD episode was about a baby with ambiguous genitalia. Soon after that I actually met a baby with that condition. So when I had what was clearly a boy, I was just really, really happy. And with each baby, I just thought "I really hope that it is a GIRL or a BOY" because that experience of TV show meets reality stuck with me. What fun, Nancy. Can't wait! Well, I suppose if the patent trolls want to come after me...they can. Also patented: the stick (as in something you'd use to play fetch with your dog or to allow a bird to stand on) and wiggling a lazer pointer to exercise your cat. upcycling garbage to toys, and licking envelopes (with your tongue). Patents/Copyright misuse is one of the things I think is MESSED UP about America. Cute idea! I bet it took a long time to cut out! 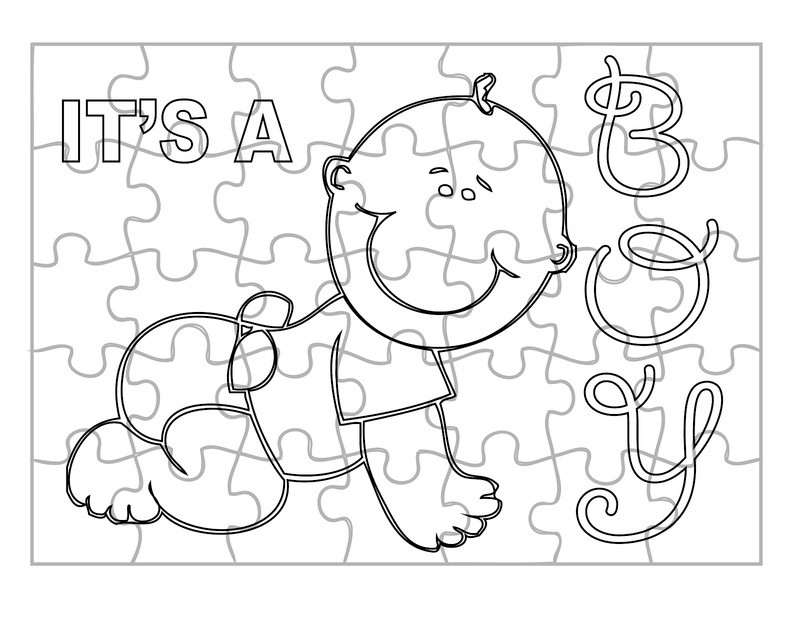 :) I tossed around the idea of cutting out a puzzle for my primary class tomorrow and gave up after cutting the first piece! It was too tiny and I'm too tired tonight. But that could be due to procrastination... :) I'm excited to see which it is! Now I'm getting nervous that we haven't heard from you at all (you said you were going to reveal 'later today'). I hope everything is alright!